The decision last year by the conservatives who control North Carolina’s state government not to expand the state’s Medicaid program has left an estimated half-million residents out in the cold when it comes to health insurance – that’s the number cited by the N.C. Institute of Medicine. These folks typically are among the state’s working poor, with incomes that might rise above the poverty line but not by much. As a practical matter, the lack of health insurance means they simply do without the kind of routine medical care that insured people take for granted. Small problems all too readily can become big ones that send sufferers to a hospital emergency room. The hospital might try to collect payment, saddling a family with what could be a whopping debt. Or the hospital’s costs of “charity” care are passed along to other, insured patients in the form of higher charges. Either way, it’s not a rational way to deliver health care, or to pay for it. 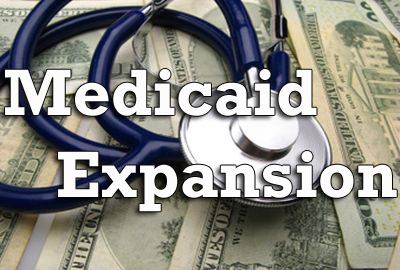 Health care and social justice advocates, including the Council of Churches and affiliates such as the NC Conference of the United Methodist Church and the NC Synod of the Evangelical Lutheran Church in America, have spent months making the case for Medicaid expansion. Now, with legislators looking forward to a new session in January and Gov. Pat McCrory beginning to anticipate a 2016 re-election campaign, there’s some reason for optimism that the Medicaid picture could change. What drives that optimism is the power of plain economics – North Carolina stands to receive an economic jolt from additional Medicaid spending, with most of the money coming from Washington. The logic is increasingly hard to deny. But concern for those half-million neighbors of ours who finally would be able to see a doctor when they need to – without enduring an expensive emergency room visit – should be part of the equation as well. The idea was that expansion would bridge the gap between traditional Medicaid and the ACA, which is supposed to make health insurance coverage affordable to lower-income people by subsidizing their payments. No expansion, no bridge. Welcome to the gap! That’s what happened in a number of states when the US Supreme Court invalidated the expansion requirement. Those states – all led by Republicans who were opposed to the Affordable Care Act in general – decided that when it came to expansion, they’d rather pass. Their reasons were both practical and political. They didn’t want to add to the federal deficit. They worried that even though federal taxpayers would be paying for most expansion costs, their states might eventually have to contribute large sums. And they didn’t want to help Obama further his agenda. For their purposes, presidential failure was a happy outcome indeed. And the idea that some Americans, fortunate enough to have financial means, might be asked to pay more in taxes to help give others among us reasonable access to the health care system evidently was beyond the pale. But common sense has a way of influencing the conversation. With large amounts of federal Medicaid money ready to be tapped by states that expanded their programs, some states with conservative leadership, such as Indiana and Utah, began negotiating on the details. North Carolina, too, could try to work out an arrangement that conservative legislators and their fellow Republican in the governor’s office could live with. A deal would mean an estimated $14.8 billion in new federal spending here over the next eight years. The money would flow into thousands of health care jobs, helping keep budget-strained hospitals afloat and strengthening local economies. 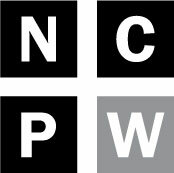 A study commissioned by the NC Department of Health and Human Services projects that even though the state would have to pay a portion of the expansion costs after the first three years, it would save money over an eight-year period due to increased tax collections and other advantages. And all the while, thousands of North Carolina residents who – cruel irony – don’t make enough to qualify for subsidized health insurance under the Affordable Care Act would be able to get care when they needed it, including the kind of routine care that keeps people out of hospitals and even saves lives. As it happens, the future of Medicaid in this state, whether expanded or not, is the focus of heated debate. Legislators have bridled at what they see as poor management and runaway expenses, although the state’s per-capita costs are on the low side. Gov. McCrory has pressed for various reforms in how the program operates. If he were to convene a special legislative session in the coming weeks to consider those reforms, as he has indicated he might, it’s possible that expansion might be in the mix. It should be. Another telling point in favor of expansion is that as things stand, North Carolina’s federal taxpayers are helping finance broader Medicaid benefits in other states while their own state receives zilch. Yes, it has to be stipulated that Medicaid is costly – reflecting inefficiencies in our largely fee-for-service health care system as much as anything – and that a larger program spread across more states would come with a larger bill. It’s perhaps understandable that some conservatives, eyeing those costs, would conclude that this hole doesn’t need to be dug any deeper. Still, there are huge costs, both financial and societal, when thousands of residents cannot afford to receive basic health care – when to be treated even for a perfectly manageable illness or condition can force them to incur a mountainous debt, or essentially to pass the buck to other patients. People in that predicament may end up losing their jobs when they become too sick to work. Families can be crushed by the weight of poverty compounded by illness. Every rung of North Carolina’s socioeconomic ladder – and especially those rungs that now are among the shakiest – would be strengthened if a path toward the expansion of Medicaid can be found.